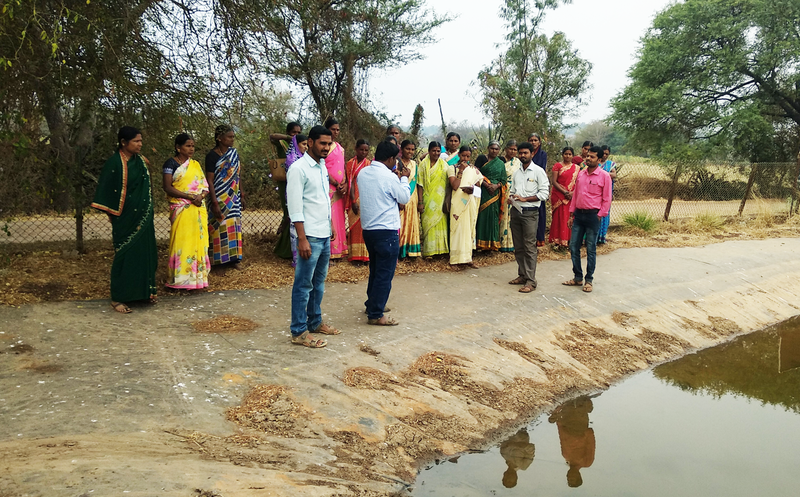 In order to improve livelihoods of struggling farmers in Karnataka, India, multiple CGIAR research centers came together to design and implement a long-term, multi-pronged strategy that was so successful that it was scaled up in several other regions and continued into successive phases. Farmer incomes increased by as much as 38% despite adverse climatic conditions and farmer-inclusive projects ensured sustainability. 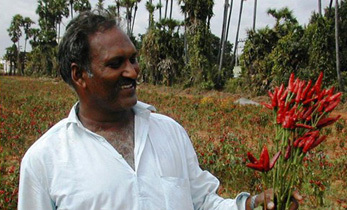 The first decade of this millennium, specifically between the years 2001 and 2008, was difficult for farmers in Karnataka state in southern India. Growth in the agricultural sector had been poor, with investors reluctant to pump any more money into the ‘losing proposition’ that was agriculture. 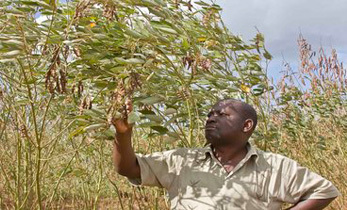 Looking for answers, the state government approached ICRISAT, a member of the CGIAR System Organization. Creation of a State-Level Coordination Committee (SLCC), comprising of Secretaries of the State, Vice Chancellors of Agricultural Universities, and chaired by the Additional Chief Secretary (ACS). This Committee would have the power to make quick, abiding decisions that had to be implemented within a short stipulated period. Appointment of Farm Facilitators in each village – an active farmer who would be trained by an ICRISAT-led consortium to be the link between the Department of Agriculture and the farmers of his/her village. Starting with six districts initially, the farmland soils were tested for micro- and macronutrient deficiencies. Based on the ‘soil health report cards’ that the farmers received for their respective farms, they were provided subsidized fertilizers (micronutrients and secondary nutrients) that would improve the nutrient balance of the land. Effective monitoring and incentive-based rating systems were put in place to ensure complete adherence to the project procedures and goals. After a successful pilot, the intervention was scaled up to the 30 districts of Karnataka. At the end of the first phase of the Bhoochetana project, over 4 million farmers had benefitted from the project, with their incomes increasing by 20-66%. From 2009–2012, the total benefits were over US$242 million, despite many districts being hit by drought consecutively in 2011, 2012 and 2013. 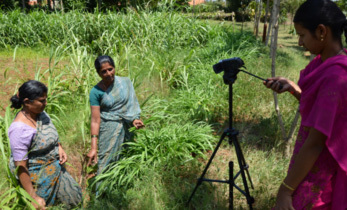 The remarkable success of the Bhoochetana initiative spurred the Karnataka Government to try more science-based interventions in agriculture; but this time they wanted more institutions to contribute in a more diversified manner. The result was Bhoosamruddhi (Prosperity of Land), started in the year 2015: a multi-stakeholder development project that converged the capabilities of more than five CGIAR centers of scientific research and innovation. With ICRISAT acting as the connecting link, reputed CGIAR organizations viz. the International Maize and Wheat Improvement Center (CIMMYT), International Center for Agricultural Research in the Dry Areas (ICARDA), International Livestock Research Institute (ILRI), International Rice Research Institute (IRRI), International Food Policy Research Institute (IFPRI), and World Vegetable Center (WorldVeg) joined in a multipronged approach that targeted several problem areas faced by farmers. Indian institutions such as the Indian Institute of Horticultural Research; University of Agricultural Science, Karnataka; Department of Agriculture and Department of Horticulture also collaborated in the consortium with the international institutes, providing vital resources and inputs into the local needs of the farmers. Four districts in Karnataka – Tumakuru, Raichur, Chikkamagaluru and Vijayapura – were chosen as the sites for the pilot projects. CIMMYT provided improved maize cultivars suited to the region, apart from sharing important technologies such as zero-till farming. Zero tillage is a way of cultivating crops without ploughing the soil every year. This technique helps rainwater to infiltrate the soil better, and also increases retention of organic matter, thereby improving soil quality. Machinery such as zero-till multi-crop planters, laser levelers, relay planters etc. benefited the farmers by reducing drudgery and increasing efficiency on the farm. 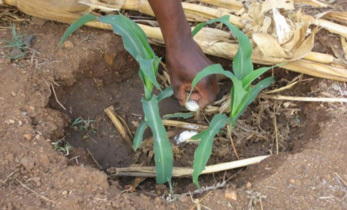 CIMMYT scientists recommended a balanced application of nutrients tailored to the soil requirements of the region; farmers now knew exactly which fertilizer to use in which area of their fields, eliminating the earlier wasteful practice of sprinkling generic fertilizers all over the field. IRRI introduced improved rice cultivars for high yields; water-saving techniques such as direct seeded rice (DSR); and integrated weed management, leading to great savings for farmers. 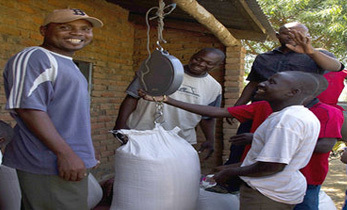 ILRI’s innovative feed assessment tools – FEAST and TechFit – gave smallholder farmers easy methods to assess the availability and usage of local feed resources. With the help of these tools, it was easy to plan the best use of available resources for feeding livestock and improving their marketability. ICARDA focused on providing cheap and high-quality fodder to livestock owners so that their livestock did not suffer during the dry months. It introduced cultivation of thorn-less cactus; this variety of succulent cactus thrived even on degraded lands, providing high-moisture feed for the animals even in times of water scarcity. WorldVeg helped farmers grow vegetables such as mung bean, tomato etc. after the major crop was harvested. It provided them with low-cost polyhouses for maintaining temperature and humidity in very high temperatures during summer. Farmers added to their income by selling these vegetables profitably. Apart from acting as the networking hub between the various organizations and the local government, ICRISAT also brought in its homegrown technologies such as accelerated aerobic composting by the addition of a concoction of microbes to shredded organic material such as leaves and stems. It also enabled farmers to have a bigger say in the crops they grow by practicing farmer participatory varietal selection. Along with appropriate soil and water management practices like broad bed and furrows (BBF), soil-test based nutrient management including deficient micro- and secondary nutrients. Preparation of quality compost using vermicompost was demonstrated to and adopted by the farmers. The result of the collaboration among this exemplary consortium of change agents has been astounding. The International Food Policy Research Institute, which assessed the success rate of the Bhoosamruddhi initiative in the four districts, surveyed 472 beneficiary and 502 non-beneficiary farmer families. 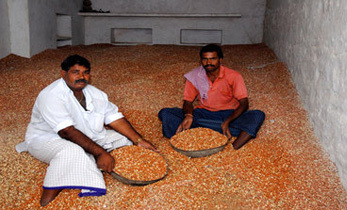 It noted an increase of up to 38% in income of farmers in these pilot regions. Designing a system for many farmers to adopt technologies, improved varieties or breeds and farming practices is a veritable science of delivery. Building multi-stakeholder partnerships (or what Dr Suhas Wani, Director, ICRISAT Development Center, calls ‘A consortium approach’), is critical to achieving significant development impact on the ground. Bhoosamruddhi is a perfect example of cross-sector partnerships for the benefits of scientific advances and innovation to trickle down to the smallholder farmer in the vulnerable regions of the world.